So many different species in one trip. 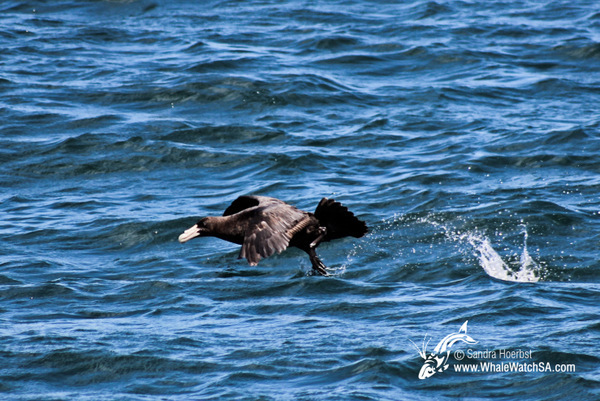 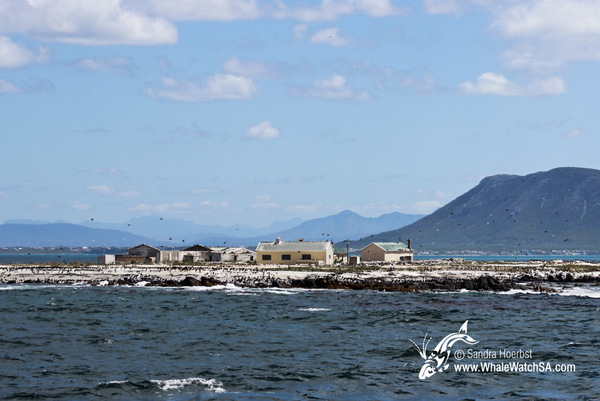 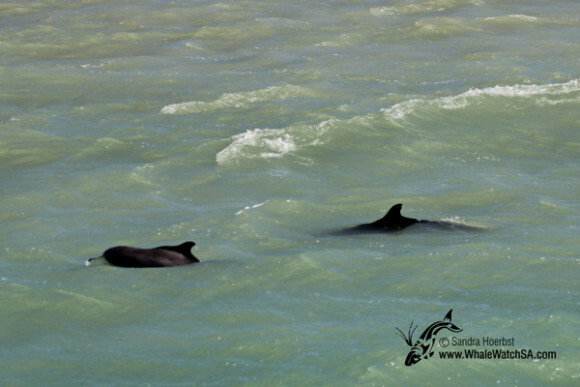 Just a few minutes after launching from the harbour we spotted two Humpback dolphins. 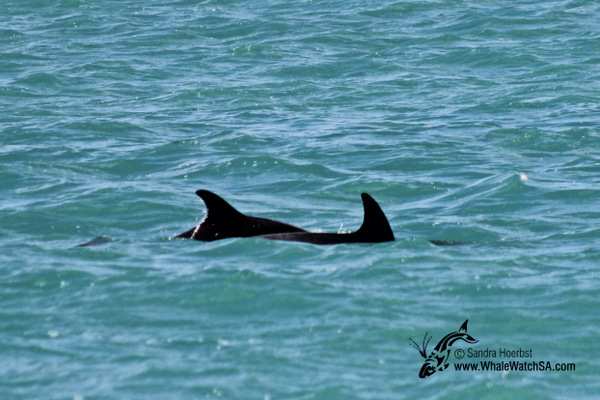 It was the same mother and her calf we saw a few days back. After leaving them behind we were lucky and did get to see two Bottlenose dolphins swimming through our bay. Around our sister company Marine Dynamics we managed to see a White shark. 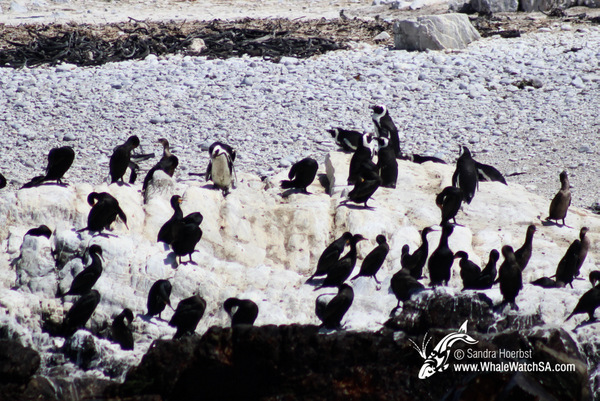 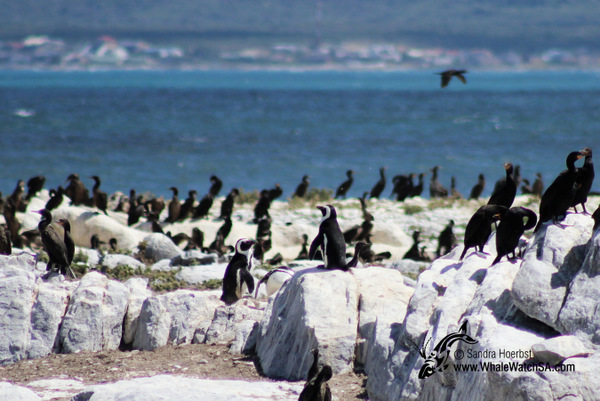 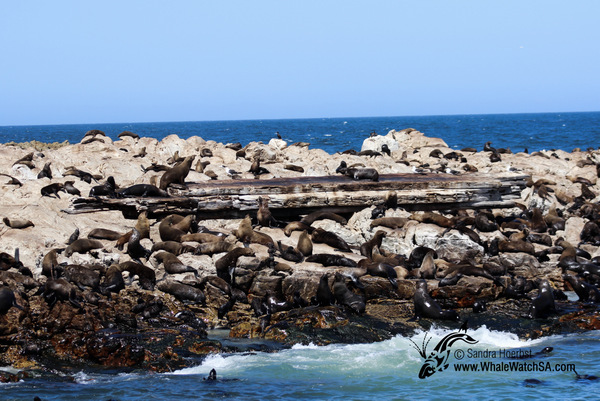 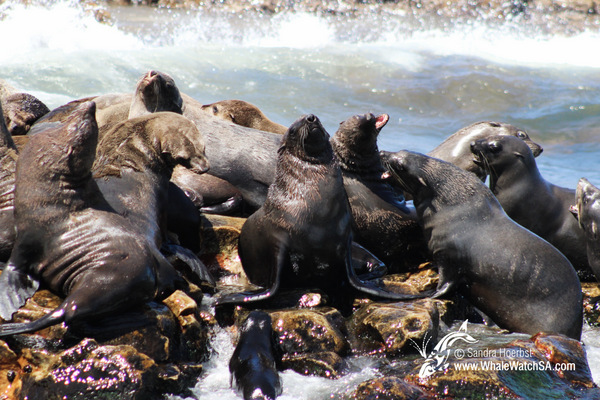 The African penguins were hiding in between all the Cape cormorants on Dyer Island but we still sawa few of them and the Cape Fur seal were hard to miss as we have up to 60.000 of them on Geyser Rock.